I have been playing ice hockey since 5 years old. I have now played in all 6 continents and over 14 countries. Below is a timeline of my career so far. 2009 Hong Kong - My first stop in my travels was Hong Kong, China. I received the opportunity to play in a local league called the HKL. 2010/11 New Zealand - After arriving home from Hong Kong, I began searching for where I would spend my next season of playing. I ended up meeting some great people in New Zealand and signed with the Canterbury Red Devils of the south island who played in the NZIHL (New Zealand Ice Hockey League). 2011/12 Czech Republic - After a very fun summer and season in New Zealand, I had signed with HC Zdar nad Sazavou in the Czech2 league. Before leaving for the Czech Republic I had met the love of my life and decided to return home to persue her, plus go to camp with the Ontario Reign of the ECHL. 2011/12 Australia - After getting engaged and going to camp with the Ontario Reign of the ECHL, I received another amazing offer to spend the Summer in Australia playing with a USA representive team. I spent about a month playing for the USA Eagles in Australia, where we eventually won the gold medal in the final. I was named tournament MVP in playing 9 games with 14 goals and 14 assists. 2012/13 USA - The following year I recieved an offer to play for a club in the 2nd league in the Netherlands. Upon almost signing the contract, my wife and I decided to stay in the USA to finish wedding plans for the summer. Instead, I spent the season playing with a club out of Las Vegas, named the Wolves, who play in the MWHL (Mountain West Hockey League). Our club lost in the league finals to the Park City Pioneers. 2013/14 Sweden - After spending the summer getting married and on honeymoon, I signed another awesome deal in the Swedish 3rd league for a club Strömstad Lions. 2013/14 South Africa - After the long cold winter in Sweden, we decided to head to Africa. In coming to South Africa I had now played on 5 continents, with only South America and Antartica left. In Cape Town I played with the Cape Town Storm, in the WPIHL (Western Province Ice Hockey League). 2014/15 Spain - In our time in South Africa, I ended up signing a deal in the top league in Spain with the club CH Majadahonda. 2014/15 USA - I had left Spain about halfway through the season to go back to the USA to play in the MWHL for the San Diego Skates. In coming back our team finished with the best regular season record and won The Commissioner's Cup. 2015 Chile - During the Summer of 2015 I had the amazing opportunity to play ice hockey on my 6th continent in Chile! Our team (The Falkland Islands) is the smallest ice hockey nation to ever play hockey, with only 3,000 people in their country. Our team went undefeated and won the Copa Invernada. My wife and I started hockey4all to promote the sport to people who may not have the opportunity to. We run events that introduce children to the sport either through skating classes, skating outings, watching the pros, and a few other ways. 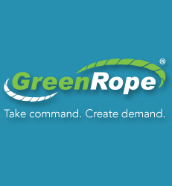 GreenRope is my primary work and what I do while I travel. Our company is a CRM and Marketing Automation software that businesses use all around the world. Click on the picture for more information.